Courtesy of Elayne Patton, Berkshire Hathaway HomeService. Lovely light, clean, passive solar home set back from the road on a long graveled driveway. Open concept kitchen/dining/living room with windows galore and views to Cerro Pelon (the wave) in Galisteo. The bay kitchen window faces an apricot tree in bloom. A door in the Master Bedroom opens onto an intimate patio bordered by a charming stone wall. Newer kitchen appliances and granite counters, tile floors, carpeted bedrooms, 2 full bathrooms and 3 skylights make this a desirable offering. Re-stuccoed and major roof maintenance 2017, new clothes dryer and hot water heater 2017. Views include the Ortiz Mountains and there is a privacy fenced area with electric in place for a hot tub. A little imagination can create wonderful outdoor spaces. Directions to property: 285 S to Avenida Eldorado, Right on Avenida de Compadres, Right on Herrada Road and Left on Alondra Road. Property on Right. 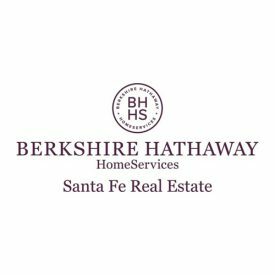 Please, send me more information on this property: MLS# 201901149 – $349,900 – 8 Alondra Road, Santa Fe, NM 87508.